Pammy Blogs Beauty: DivaDo "Prom Queen" Updo Contest: I am a guest judge! DivaDo "Prom Queen" Updo Contest: I am a guest judge! With Prom, Formals, and Wedding season approaching, I am sure that many of you are already practicing with your updos! Is anyone trying to achieve the "bump" look? If you are, you might want to check out DivaDo. DivaDo offers hair inserts that go underneath your hair to give it that bumped-up look (minus all the teasing!). You can achieve a glam hairdo with tons of volume with no-teasing/damage in just a few minutes. For more info on how to use the DivaDo and to view a video tutorial, check out the the DivaDo Website! Diva Do "Prom Queen Contest"
Diva Do is having a great contest! The Grand Prize winner will get the "DivaDo Prom Queen" title and win "Diva Day". The Diva Day prize includes a spa day and a professional photo shoot in your hometown! 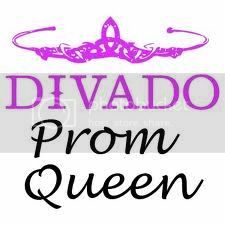 Your head shots will appear on the DivaDo Website as the "Prom Queen Model"! There will also be two runners up who get DivaDo Tee-Shirts and a gift basket. This Contest is open to women of all ages! You do not need to be going to prom to enter! The DivaDo is for all women who want glamorous volume hairstyles. You don't need to be going to prom to use these! You can create a fun updo for any occasion. You can create volume in the crown (with the Audrey DivaDo) for just pulling the sides back or create a larger bump (with the Brigitte) combined with a ponytail or bun. I am posting information about how to enter the contest below. Also, I have a special discount code for Pammy Blogs Beauty readers if you would like to order your own DivaDo! Please keep reading after the jump for all the Contest Info!!! Contest Instructions Upload a 30-60 second DivaDo HOW-TO commercial showing you created your DivaDo Prom Updo. Each entry will be judge by top Beauty Bloggers as well as DivaDo creator Brandie Park! One Entry per person! 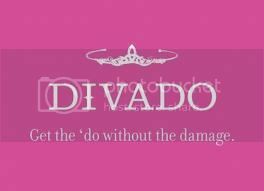 Get the Do without the damage and YOU could be DivaDo's Prom Queen Model!!! Be seen and be a MODEL! This contest is open to ladies of all ages whether you are attending your high school Prom or just want to relive your Prom Queen fantasy! Grand Prize Get Noticed by the world wide web 10’s of thousands of people, Be Seen, Show off your Do with out the Damage. Be DivaDo's Featured DivaDo Website and Social Media Model using your beautiful prom hair How-To Video with the DivaDo. Also win a Photo shoot in your local area/ Diva Day, a DivaDo gift basket and Crowned the DivaDo Prom Queen. 2nd and 3rd Prize Two runner ups will receive a DivaDo T-shirt and acknowledgement on DivaDo's website and social media outlets. DivaDo is hosting the contest through a Facebook application. Good luck if you enter! Very cute! And sassy :) My hair is still too short for most of the ideas, but I'll keep them for later.